There are many different online pet supply retailers out thereso it pays to shop around when looking for the best price and range. If you’re yet to experience shopping with Muddy Paws, this month might be the perfect opportunity, because right now with our Muddy Paws voucher codes, you can use their special offer that gets you 10% off your first order. One thing this site appears to do particularly well are dog beds, so why not save on a Danish Design Maritime Snuggle Bed (£22.99 before discount), a Joules Pheasant Snuggle Bed (£21.99 before discount) or a House of Paws Arctic Fox Snuggle Bed (£34.99 before discount). And while you’re there, why not use our Muddy Paws promotional codes to purchase even more doggy treats? The quest for the perfect dog and cat food is a never-ending one, but thankfully we now have Zooplus.co.uk discount codes to help us. This site must have one of the very best ranges of pet food available, both UK brands and imported varieties, and with Zooplus.co.uk voucher codes you can make a saving on their already impressive prices. Our top offer gets you 5% off your order when you spend £75 or more, making this the ideal way to stock up and bulk buy that dry food. 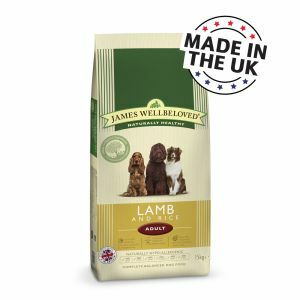 Why not consider the Applaws Chicken and Salmon Cat Food 2 x 7.5kg Economy Pack (£65.90 before discount) or the James Wellbeloved Adult Lamb and Rice Dog Food 2 x 15kg (£76.99 before discount)? Get Your Pets a Fun Game! Once you’ve got those essentials covered, let’s go back to the fun pet purchases – the treats! You can continue spoiling your best furry friend with our Pets Pyjamas voucher codes and the thing that makes them especially tempting right now is the fact that with Pets Pyjamas promo codes you can get 15% off your entire order. So if your feline friend needs a bit more excitement in their life, why not indulge them with a Sisal Cat Scratcher (£14.42 before discount), an Island Interactive Cat Toy (£6.64 before discount) or a Kat N Kitty Activity Playground (£14.99 before discount)? Or perhaps all three if you’re feeling especially generous. Explore our Muddy Paws, Zooplus.co.uk and Pet Pyjamas voucher codes further for yet more items and offers, or take a closer look at our pet category for a comprehensive let of current pet savings.